Deal of the Day : Wine Tasting for Two at The Fireplace Restaurant, Brookline, MA. Located at 1634 Beacon Street in Brookline, Massachusetts, The Fireplace is a New England grill and barbecue, with an emphasis on wood-smoked and rotisserie dishes using the freshest offerings of the New England region. 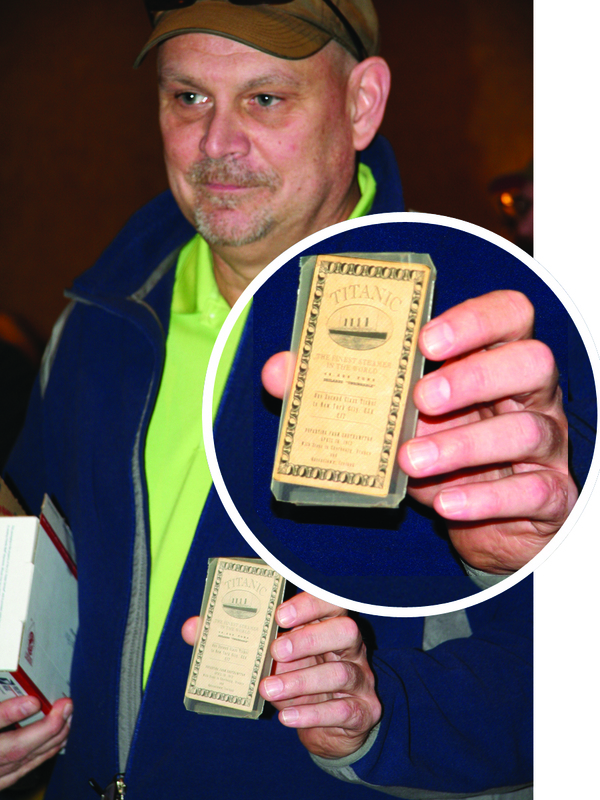 Hundreds Asked, Now Thousands Find Out: What Is It Really Worth? They waited in line for hours with their precious objects from decades past. They brought paintings of cows, ships, people, and fruit. They carried bronze sculptures and bisque figurines. There were inlaid tables and upholstered chairs; gold watches and oak mantle clocks; silver tea pots and gold necklaces; dusty books and brittle documents; colorful quilts and cross-stitch samplers, and so much more. TV producer and show host Brian Scott Smith and the WSBE production crew captured the answers to that question. Those stories and other highlights of the appraisal event have been edited together with footage of Smith’s tours of the Whitehorne House Museum and the United States Naval War College Museum, both in Newport, RI. The television special, What Is It Really Worth? debuts Wednesday, May 9 on WSBE Rhode Island PBS at 7:30 P.M. Fans of public television’s British and American traveling antiques shows agree that some of the best, most exciting moments are when valuable treasures are unexpectedly discovered. 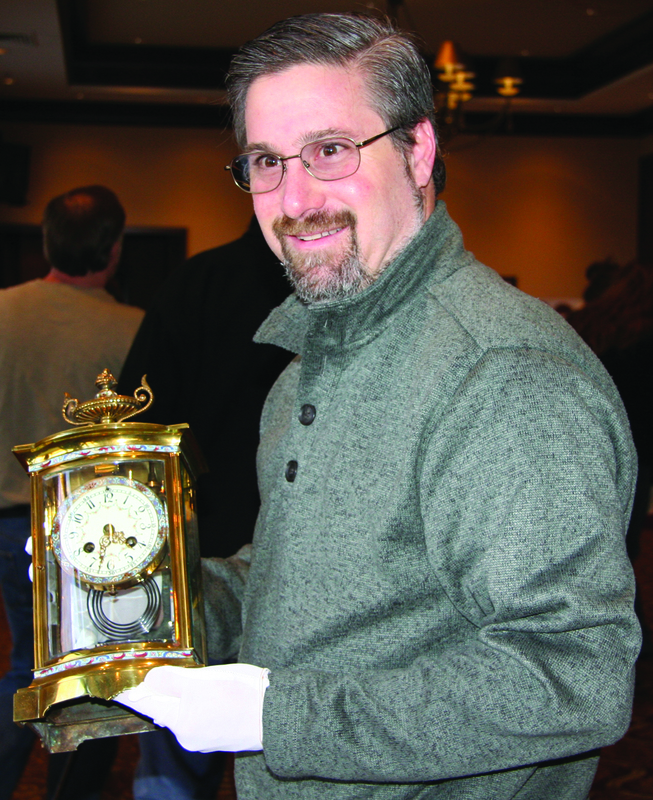 Rhode Island PBS Antiques Discovery and Appraisal Show provided a special opportunity for the public to bring objects of unknown or uncertain value to accredited appraisers for a written appraisal. 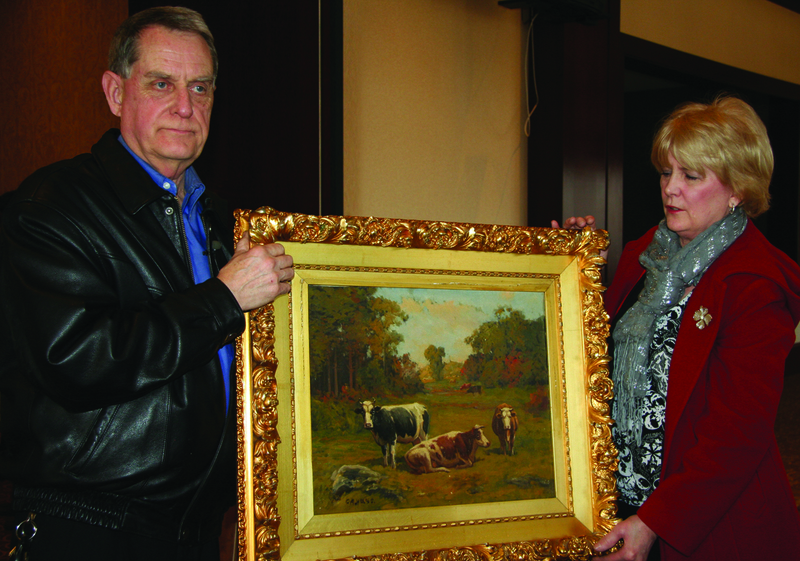 Those two features – written appraisal by accredited appraisers – distinguish the Antiques Discovery and Appraisal Show from other antiques appraisal events. In the crowd of more than 800 that day, many secretly hoped theirs would be the valuable treasure. In What Is It Really Worth? many of them receive that great news from their appraisers. Tune in on Wednesday, May 9 at 7:30 P.M. to find out, too. 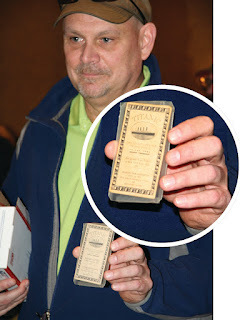 Labels: Antiques Discovery Appraisal Show, What Is It Really Worth? The panelists also offer their thoughts on the current state of journalism. They're Ba-ack! Second Episode of Haunted RI airs May 5 at 7 P.M. The eagerly anticipated second episode of Haunted RI airs on WSBE Rhode Island PBS on Saturday, May 5 at 7 P.M. as part of the ongoing Rhode Island PBS series Rhode Island Stories. 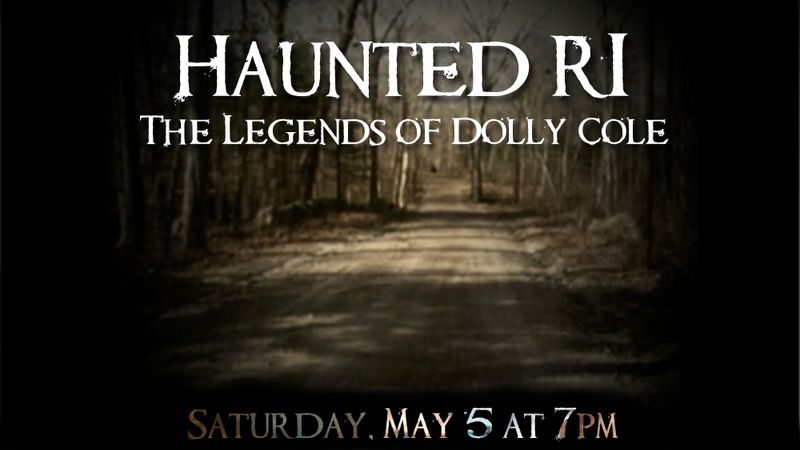 Haunted RI: The Legends of Dolly Cole tries to untangle the myths associated with the woman – women – in Foster, Rhode Island. The dense forests that line Tucker Hollow Road and Ramtail Road in Foster have been the setting for more than one story involving the restless dead. Ghosts of perished mill workers and the haunted graves of plague victims are commonly found there among the ruins and forgotten gravesites scattered through those woods. Yet, of all these hauntings, no name has earned itself more prominence – and confusion – than that of Dolly Cole. She was a witch, a vampire, a murdered prostitute who dressed in men's clothing... She lost her daughter – or maybe it was a son – in a fire set by neighbors afraid of this Witch of Foster. She was murdered in the woods at age 27; she drowned in the stream near her house; she is the “Woman in White” seen by hunters, fishermen, and local residents for years. Some witnesses were alone, some were in groups, all were chilled by their encounters with an entity and are reluctant to speak of the experiences above a whisper. In the company of Andrew Lake and Thomas D'Agostino, filmmakers and students of the paranormal Jason Mayoh and Christian White sort out the legends of Dolly Cole. Together, they visit and explore the landmarks and sites of the reported apparitions. Along the way, they document stories of specters and oddities as retold by Foster resident and white witch, Pat Morgan. 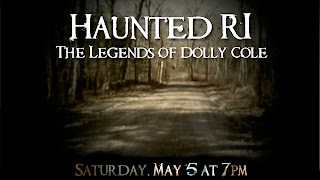 Haunted RI: The Legends of Dolly Cole is written and directed by Jason Mayoh, whose name may be familiar to Rhode Islanders: Jason created a comic book series, Tales of Rocky Point Park, based on the urban legends and mysterious history of the amusement park. Jason has also storyboarded numerous feature films produced in New England, most recently The Town, directed by fellow New Englander Ben Affleck. Christian White has developed several independent films, as well as two Internet TV pilots. Mayoh and White, in association with WSBE, present Rhode Island's stories of the paranormal in their historical context. They researched available archived newspaper articles, old photos, historical town records, personal diaries and letters - the kind of evidence that establishes the origins or factual basis of the legends, the truths that fuel the oral tales. 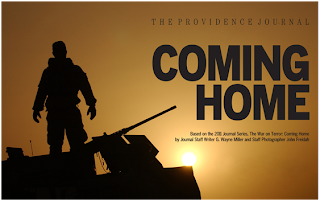 Roving Eye International Film Festival features 30 free films - includes local "Coming Home"
FLICKERS: Rhode Island International Film Festival (RIIFF) and Roger Williams University (RWU) are proud to present the seventh annual Roving Eye International Film Festival™. The popular and acclaimed event, celebrating global cinema and artists, will take place April 22-26th, where more than 30 international films will be showcased, many United States premieres. All screenings are free to the general public. Screenings will take place on the campus of Roger Williams University at the Global Heritage Hall in Bristol, RI. Many of the film's directors will be in attendance including recent Academy Award nominee, James Spione, director of "Incident in New Baghdad." Panel/roundtable discussions include "The War on Terror: Coming Home"* with Providence Journal writer G. Wayne Miller; Dr. Frank DiCataldo, assistant professor of psychology at Roger Williams University; John Freidah, Providence Journal photographer and producer; Coleman Nee, Massachusetts Secretary of Veterans' Services; Lt. Col. Denis Riel, Rhode Island National Guard; and Jonathan Shay, MD, clinical psychiatrist, author and MacArthur Foundation "genius grant" recipient for his work with veteran, and "HOLLYWOOD EAST: MAKING IT IN THE FILM INDUSTRY IN RHODE ISLAND" featuring Edward J. "Ted" Delaney, author, journalist, filmmaker and educator; Michael Drywa, Jr. Esq. Entertainment Law specialist; Steven Feinberg, Executive Director, RI Film and Television Office; Duncan Putney, SAG Representive; and Chris Sparling, writer/director author of the Ryan Reynolds feature "Buried." Click HERE to see a listing of this year's programming and to learn more about the Roving Eye Festival. For more information about films, dates, and venues for the Roving Eye Film Festival™, please call 401-861-4445, email info@film-festival.org. *WSBE Rhode Island PBS will re-broadcast Coming Home on Saturday, May 26 at 7 P.M. and Sunday, May 27 at 11 P.M.
Mimi Sammis: Sculpting Peace is a documentary about the life and work of world-renowned Narragansett, Rhode Island, artist and peace activist, Anne Mimi Sammis. The film premieres on Saturday, April 28 at 7 P.M. as part of the ongoing series, Rhode Island Stories, on WSBE Rhode Island PBS (digital 36.1, Cox 08/1008HD, Verizon 08/808HD, Full Channel 08, Comcast 814HD, Dish 7776, DirecTV 36). Mimi Sammis: Sculpting Peace traces the artist's journey over the last three decades, illustrated by archival footage of significant events in Mimi's career. Each piece of film exemplifies her impact on the world around her - and its impact on her - whether it is attending a peace rally, visiting a local school to discuss with students the importance of art, or installing one of her sculptures in a public space. Combining this archival footage with new video by award-winning Maine filmmaker Dylan Howard, Mimi Sammis: Sculpting Peace creates a comprehensive visual representation of Mimi's life, her philosophy, her sources of inspiration, and how it all comes together when she creates her expressive works. 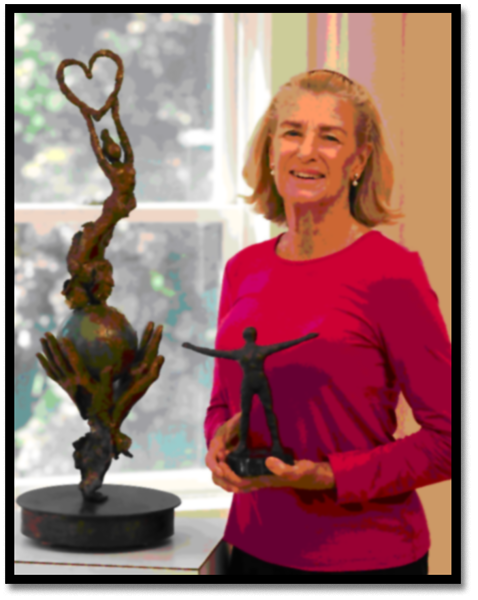 Central to the documentary is the account of the theft in 2010 of Mimi's 300-pound bronze sculpture, Embrace of Life II, from Tiverton Four Corners in Rhode Island. The two thieves who stole the sculpture cut up the bronze and sold it for drugs. Mimi turned this devastating event into an opportunity to demonstrate forgiveness, peace, and new beginning: one year later, Mimi had created a new sculpture, titled Rebirth (Woman of Peace). During the unveiling ceremony, one of thieves of the original sculpture showed up. He told Mimi he was now sober and gave her a heartfelt apology. The two spoke at length about what rebirth truly means. At the ceremony to film the dedication, and after experiencing the intense events of the day, Dylan Howard decided to create a full documentary celebrating Mimi's life and the mission she realizes through her sculpture. 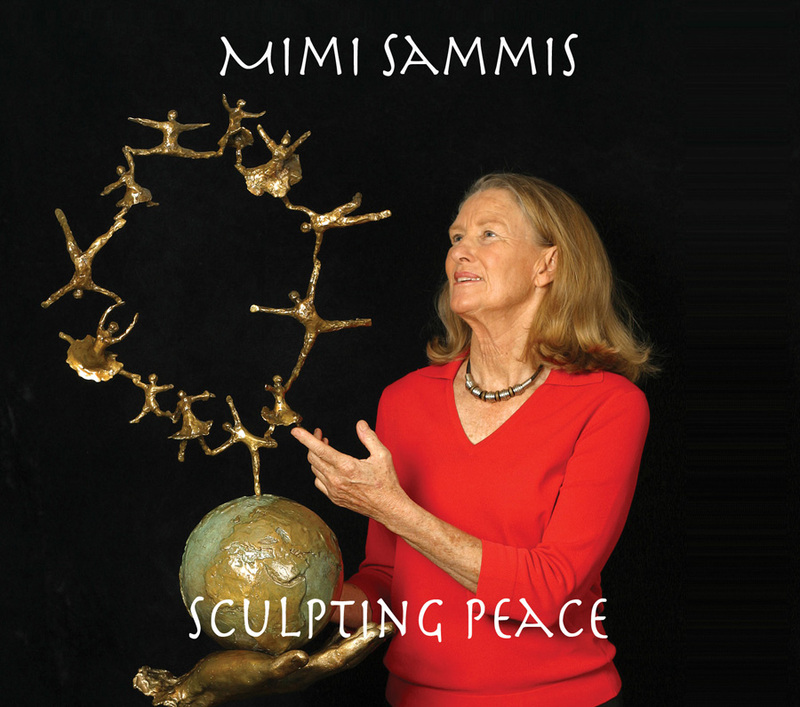 Mimi Sammis: Sculpting Peace shows how art connects people and deepens self understanding, and shares Mimi's message that it is with desire that we achieve and create, and it is with love and intention that we succeed. 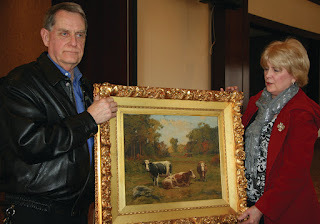 Mimi Sammis also has her own weekly television series, Mimi's Art Studio, in which she demonstrates fine art painting techniques in acrylics, watercolor, and pastels. Mimi draws her audience into the creative process, sharing with her audience her joy in art and in the world around us. Her informal, wise, and witty style has led viewers of the show to call her "the Julia Child of painting." The series started at Rhode Island PBS in 2005 and now airs nationally in 20 states. The show airs Sundays at 8 A.M. on WSBE Rhode Island PBS, digital 36.1 and cable channel 8. Wash Your Hands, Rhode Island! Winter may be over, but germs don't pay attention to the calendar. The best way to prevent germs from spreading in any season is hand washing. Wash Your Hands is the simple but effective title of a public health and awareness initiative to be launched in mid-April in schools statewide, and for Hand Washing Week in Rhode Island, April 15 through 21, 2012. The centerpiece of the initiative is a catchy tune by the same title. Wash Your Hands, composed by two-time GRAMMY® Award winning artist, Bill Harley, is a music video produced by WSBE Rhode Island PBS. The three-minute music video will debut on Rhode Island PBS at 9:30 A.M. on Saturday, April 14 (digital 36.1, Cox/Verizon/Full Channel 08; Dish 7776; DirecTV 36; Comcast 818HD). In addition to the music video, the outreach to schools includes colorful posters with the song's hand washing instructions “by the numbers,” as well as a Web site with links and more information at http://www.ripbs.org/kids/washyourhands/, which launches on April 14. When asked about the project, Bill Harley said, "I wrote this song to remind everyone, including myself, that the best way to stop the spread of disease is also the simplest way - something everyone can do - and that's to wash your hands." He added, “I'm so happy with the video and appreciate the collaboration with Rhode Island PBS and the Department of Health. I know this can make a difference." Bill's back-up singers in the music video are elementary school students from the Paul Cuffee School and the Henry Barnard School, both in Providence. Dance steps were choreographed by Edgar Viloria from Everett Dance Works. Bill first composed the music and lyrics for Wash Your Hands in 2009 when the H1N1 Swine Flu was making headlines. Students at the Paul Cuffee School at the time accompanied Bill in the recording. The song was uploaded to his Web site (billharley.com) and was shared virally – so to speak – by pediatricians' offices and schools in Rhode Island and Massachusetts. The children who appeared in the video were invited with their parents to WSBE studios on April 11 for a preview party with the production team. Featured speakers included Dr. Elizabeth Lange of the Rhode Island Chapter of the American Academy of Pediatrics, Dr. Margaret Sun of the Rhode Island Academy of Family Physicians, and Dr. Alyn Adrain, president-elect of the Rhode Island Medical Society. Dr. Fine read a gubernatorial proclamation from Rhode Island Governor Lincoln Chafee designating April 15 through 21 Hand Washing Week in Rhode Island; Dr. Fine presented the proclamation to school nurse Linda Mendonca, president of the Rhode Island Certified School Nurse Teachers organization. Food for the preview party was provided by Jersey Mike's Subs. After the April 14th television premiere of the full-length video on Rhode Island PBS, a shorter, one-minute version will air throughout the day on WSBE's two channels, Rhode Island PBS and Learn. On April 14, 1912, the world's unsinkable ship... sank. One hundred years later, there are still new stories to tell. Saving the Titanic (Thursday, 4/19 at 9:00 p.m.) She was the pride of the British Empire. A leading example of state-of-the-art engineering in a time of groundbreaking scientific and technological innovations on a global scale: the Titanic. Yet she sank in less than three hours after striking an iceberg on April 14, 1912. We all know about the many deaths in the icy waters, the fates of the rich and famous on the ship's maiden voyage and the dramas that played out in the Titanic's last hours. What is less known however is how a team of shipbuilders and engineers attempted to save the stricken vessel. Seeking to answer the question of what happened in the engine and boiler rooms after the collision, this program tells the story of the disaster from below deck, with the action taking place between the time the crew embark the Titanic at Southampton and the eventual sinking of the ship. Based upon eyewitness accounts, this is the story of nine central characters from the engineering crew as they work among the huge, coal-fired furnaces heating the boilers and massive dynamos whirring to satisfy the ship's demand for electricity. Their personal stories of bravery are recounted as the men fought courageously to hold back the power of the sea and keep the power systems running, even when they learned that all was lost. Most of these men died but their actions saved many lives. Iceberg That Sank the Titanic (Thursday, 4/19 at 10:00 p.m.) Many millennia ago, a snowflake landed at the head of a glacier in the Arctic Circle. In an instant, it turned from a symbol of purity to an agent of death as it triggered the creation of an iceberg - spat from the tongue of the mother glacier and into the ocean. Cameras explore every face of this monstrous glacier, revealing an arterial network of melt-water rivers and frozen masses of rocks and vegetation suspended in the ice, and also the nature of the iceberg. There is a duality to its character. Long before it was a life-taker, it was home to an abundance of arctic wildlife. Passing down through the Arctic Circle and into the North Atlantic, the iceberg was set on an unstoppable collision course that would result in over 1400 deaths. Were warnings heeded? Could the crew of the Titanic have done more to save the passengers - perhaps using the iceberg as a giant lifeboat? 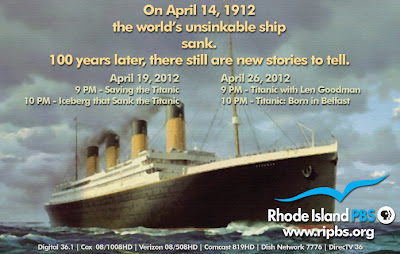 Titanic With Len Goodman (Thursday, 4/26 at 9:00 pm..) In this program, Len Goodman, a judge on "Dancing with the Stars," discovers how the impact of the Titanic disaster is still felt a century after the ship sank. Goodman has his own connection to the ship. Before he was a dancer, he was a welder for Harland and Woolf. This was company that, from 1909 to 1912, built the Titanic in Belfast. Goodman worked for the same company 50 years later, at their yard in East London. To mark the centenary of the Titanic tragedy in 2012, Goodman explores the ship's 100-year legacy. He learns how for victims' families and for the survivors themselves, the sinking was just the beginning of the story. Generations later, those stories are still unfolding as Goodman meets the modern-day descendants to learn how, 100 years after it sank, the Titanic's legacy lives on. Titanic Born In Belfast (Thursday, 4/26 at 10:00 p.m.) traces Belfast’s emergence as a shipbuilding powerhouse in the early 19th century, primarily in the form of the Harland and Wolff Shipyard. In 1907 the White Star Line awarded Harland and Wolff a contract to construct three superb steam liners that would hit new heights in terms of passenger safety, comfort and style and sheer size. The first two to be commissioned were the sister ships Olympic and the Titanic, with the construction of the Titanic beginning in March of 1909. Descendants of ship-workers and historians explore the role of building of the massive Titanic played in the lives of the inhabitants of Belfast. Sadly the Titanic’s ending is well known and tragic – on her very first voyage, shortly before midnight on the night of April 14th 1912 the ship struck an iceberg in the freezing North Atlantic. In less than 3 hours she tragically sank to the ocean floor, with the loss of over 1,500 lives. Thirty-six of those lost lives belonged to men and women of Belfast. On April 14 at 7 P.M., WSBE Rhode Island PBS presents It Gets Better at URI: Coming Out for Change, a University of Rhode Island student-made film and phenomenon. The project started as idea by five members of the URI Lesbian Bisexual Transgender Queer (LBTQ) Women’s Group to make a small film to contribute to the national effort known as "It Gets Better," a support movement formed after highly publicized suicides of gay students. But what started as an idea among women with no filmmaking experience blossomed unexpectedly to a full University-wide commitment to support students struggling with their sexual identity. This URI Quadangles blog post provides the fascinating background story about the film and the phenomenon. Brown Daily Herald also writes about the film as a project. It Gets Better at URI: Coming Out for Change airs as part of the ongoing WSBE Rhode Island PBS series, Rhode Island Stories. After its debut on April 14, the documentary will be rebroadcast on Sunday, April 15 at 11 P.M. WSBE Rhode Island PBS transmits standard-definition (SD) and high-definition (HD) programming over the air on digital 36.1; on cable services: Cox 08 / 1008HD, Verizon 08 / 508HD, Full Channel 08, Comcast 819HD; on satellite: DirecTV 36, Dish Network 7776. Rhode Island Stories airs on WSBE Learn on Thursdays at 10 P.M., Fridays at 5 A.M., and Saturdays at 2 A.M. and 4 P.M. WSBE Learn transmits over the air on digital 36.2; on cable: Cox 808, Verizon 478, Full Channel 109, Comcast 294 or 312.